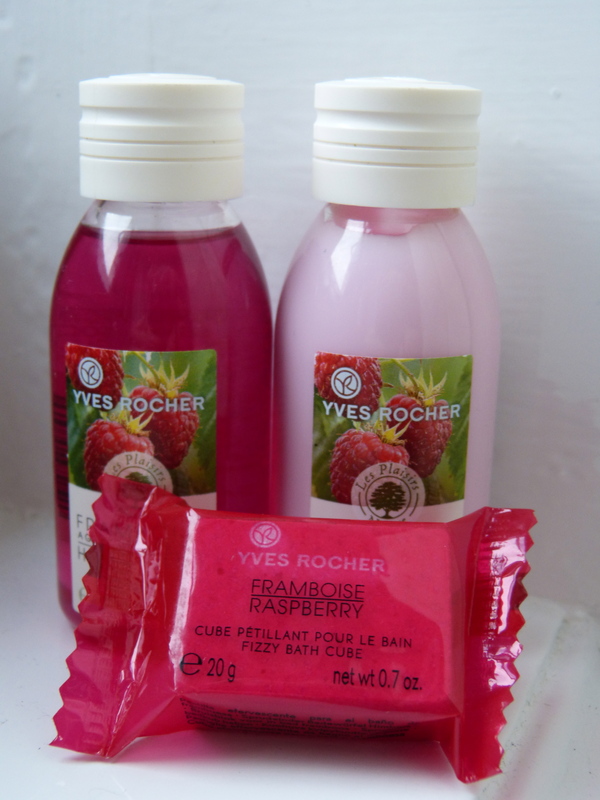 Inside the parcel were three little hot pink raspberry treats: a shower gel, body lotion, and tiny bath fizzer from Yves Rocher. They’re pretty enough as it is, but OH. MY. GOSH. These smell so good. They smell exactly like fresh raspberries – quite often, you get a fake fruity scent in toiletries that claims to be ‘strawberry’ or ‘raspberry’, but this just smells perfectly realistic. It’s a very refreshing summery scent that should hopefully keep me happy while it’s all grey and horrible outside! Have any of you tried anything from Yves Rocher? This entry was posted in Beauty and tagged bath, bath bomb, beauty, beauty products, body lotion, giveaway, luchessa, moisturiser, raspberry, raspberry body lotion, raspberry shower gel, shower gel, toiletries, yves rocher. Bookmark the permalink. I know, they smell good enough too!